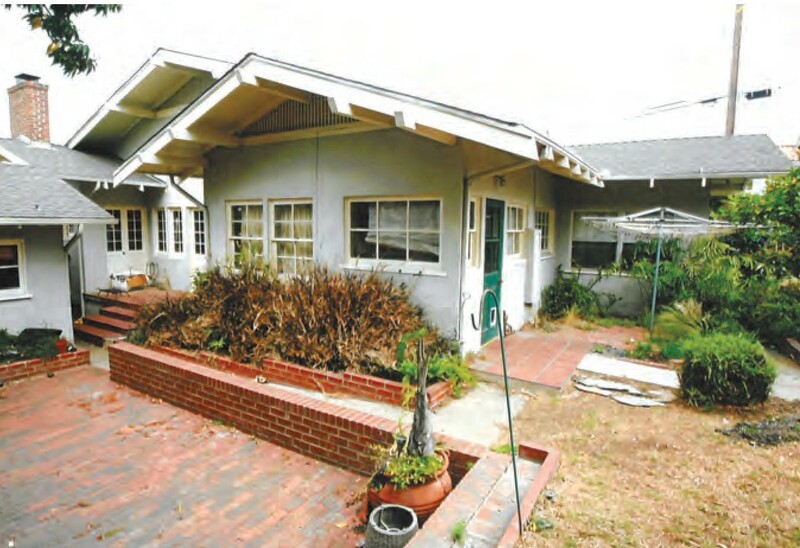 While many communities have taken action to preserve their unique historical architecture, Manhattan Beach is allowing its historic character to be destroyed. Manhattan Beach has a Historical Preservation Ordinance and the ability for residents to file for the Mills Act, but very few homeowners are taking advantage of the opportunity. In the early 1920s a leading builder/developer in town, Mr. A. Howard Sadler took great pride in the Craftsman Bungalow design and its fit with the newly established, little beach town. “The California type of bungalow home was the prevailing style of architecture and their character and cost prove the claim that Manhattan was destined to be a beautiful town, home-like and hospitable,” Sadler wrote in a promotional pamphlet. Most of the original bungalows have seen their demise, but there are still a few in the community that display the elements of the early Craftsman Bungalow design and the Arts and Crafts movement. One of the finest, highly representative examples of an early 1900s style of architecture, located on the south-east corner at 828 Highview Avenue, was razed in early July. This classic historic home was originally a furrier retail shop at 4633 Beverly Boulevard in Los Angeles. In July 1944, an application for a relocation permit was made by Forest J. Patitt, a local contractor, for the purpose of moving a one story, 1,800 sq. 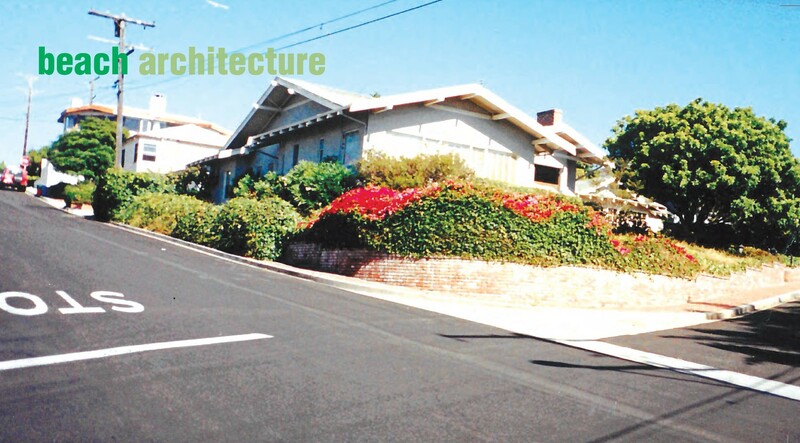 foot framed house, as well as a 16 by 20 ft. garage to Manhattan Beach. Between midnight, August 25, 1944, and five p. m. on August 26, the structure was moved 16 miles, arriving at the southeast corner of 9th Street and Highview Avenue. The California Bungalow or Craftsman Bungalow is an architectural design deriving from oriental influences. It originated in Southern California through the work of two brothers, Charles Sumner and Henry Mather Greene, from Pasadena. The brothers arrived in California in 1893, after being educated at the Manual Training School of Washington University in St. Louis, followed by two years in the architectural program at the Massachusetts Institute of Technology. Their fascination with oriental architecture was inspired by Japan’s official exhibit at the Columbian Exposition in Chicago. This style of architecture is characterized by low pitched, multiple front-gabled roof planes with wide unenclosed eave overhangs and roof rafters exposed. It came to be considered a true American design. The word “Bungalow” was originally a British-Indian translation of the word “Bengali.” It referred to a single-storied house or cottage designed for English civil servants during short terms of residence in India. In the United States the Craftsman Bungalow was known as the workman’s cottage of the 19th century and quickly spread throughout the country by way of pattern books, which sold construction plans, which eventually would be accompanied by pre-cut lumber packages detailing how to assemble the structure, making it available to anyone who could handle a hammer and work with wood. As the exterior of the Wood’s bungalow reflected the Arts and Crafts movement, so too did the interior of the building, with its open floor plan, handcrafted woodworking detail, stone fireplace, traditional built-in cabinets, leaded glass details, and bands of small pane windows. The morning sunlight streamed through a wall of east-facing French doors, giving the structure a warm and welcoming feeling. The Arts and Crafts movement, popular in Europe, made its way to the United States in the late 1800s. During World War II there was a shortage of housing in Manhattan Beach. Therefore builders were moving structures into the community when the Army “Battery E” arrived from New Jersey on Christmas Eve of 1941. 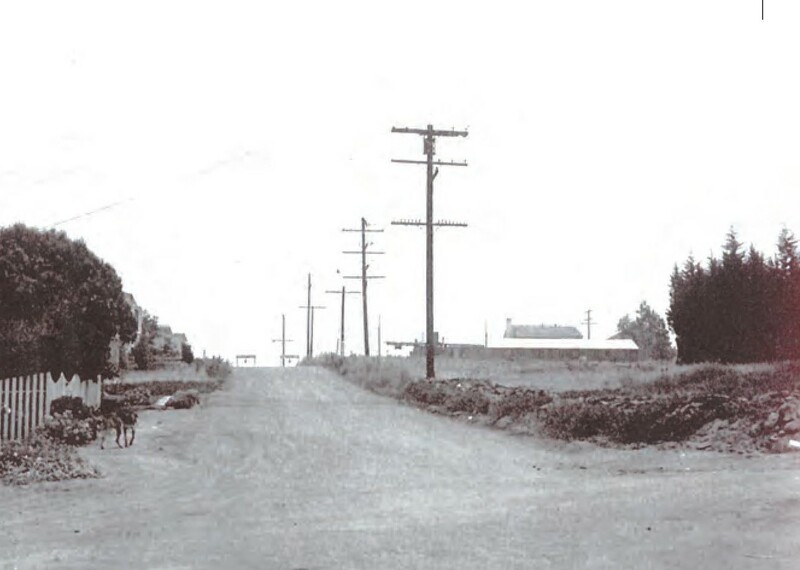 Families from around the country, who were working in the local aircraft industry and Long Beach shipyards, were adding to the town population. In later years, September of 1958, Mr. Wood requested a city building permit, which at this time was $5, to construct an alteration to the existing structure, which was the family dwelling. 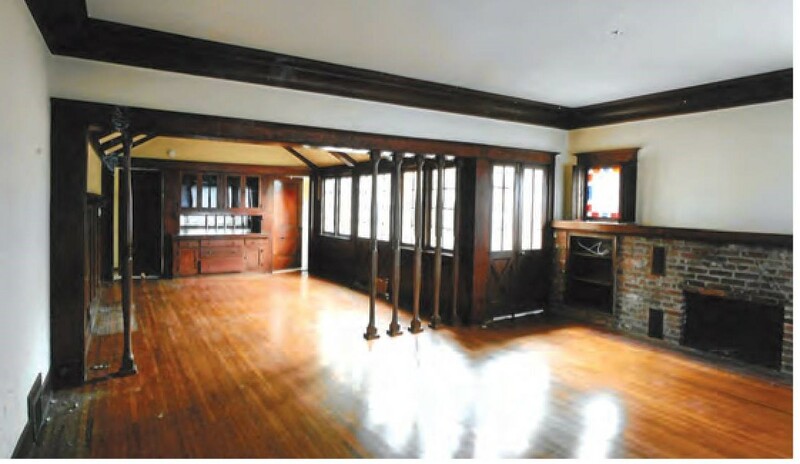 Valued at $500, this 15×20 foot room, which included a fireplace, was to be attached to the front-south-side of the Craftsman Bungalow by way of a five foot overhang. The exterior as well as the interior of the added floor space contained the same Craftsman design detail as did the home, making the front of the original house look much larger. The new area served many purposes, from a private space for sons Mark Jr. and Scott, and later an office space for Judge Wood, as well as an entertainment space for visitors. The Wood family spent 55 glorious years at this location. Scott, who lives nearby, has fond memories of his grandmother’s 100th birthday party and his sister Brita’s beautiful wedding reception at their enchanted Craftsman Bungalow.